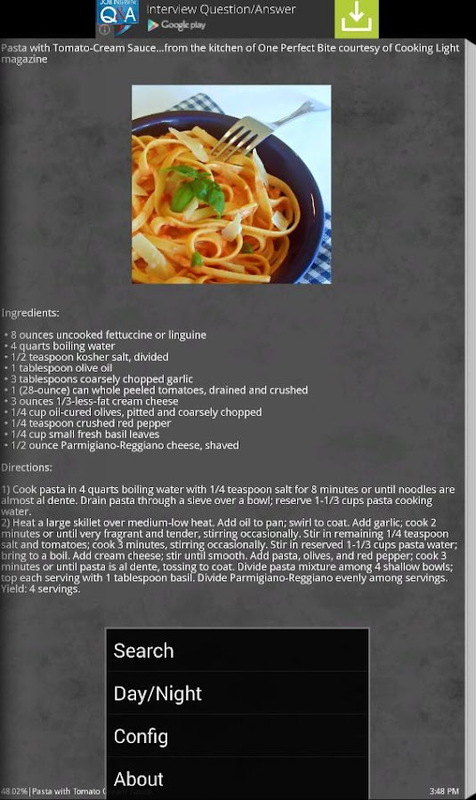 Hand picked pasta recipes for lovers ofhealthy food and italian cuisine. Find easy and quick recipes thatbenefit your health and impress your friends with amazing pastarecipes! Whether it's vegetarian pasta dishes you're after, or ideas forhealthy and delicious recipes, you'll find plenty here to inspireyou! It's not only one of a kind, easy to use diet diary and caloriecalculator. It's also your virtual pal which motivates andencourages you at the right moments My Diet Coach - Win the mentalgame of dieting !! My Diet Coach will help you to: > Stay ontrack - With the user-friendly diet planner, meal and exercisejournal, calorie counter, custom reminders for every diary event,challenges tracker, BMI calculator and BMR calculator. > Getmotivated - With the motivational photos aid, your goal reminder,virtual rewards and tips. > Overcome weight loss difficulties -With tips and reminders for every type of challenge and by loggingrepetitive difficulties in your diet journal. > Record and viewyour weight loss progress - With the Pro weight chart! > Curbyour next food craving with the "Food cravings panic button". PressReviews: "My Diet Coach Pro is one of the better dieting apps I’vechecked out..." -android-apps.com "Packed with tons of helpfulfeatures, this app was well thought-out by the developers and istruly your very own personal diet coach" -Appadvice User Reviews:"LOVE IT!!! I used to (try to) use Weight Watchers mobile but theirfood database was horrible and their app NEVER worked properly ...This is so much better and for such a low price it's a no-brainer.Buy this app and start losing weight!" New! - Notifications withvoice replies for Android Wear (Watch): 1. Voice notifications fortracking water consumption 2. Voice notifications for caloriecounting 3. Actionable notifications for Android Wear DetailedDescription: Diet Planner and Calendar: > Personalize your dietplan - define your own meals, exercises, and other events once andreuse them without having to re-enter all the details. > Onediary for exercises, meals and other events... > Set remindersthat will remind you to plan and journal. > Calories calculatorfor hundreds of types of exercise and thousands of foods. >Barcode scanner for US foods > Track carbs, fats and protein forUS foods > Planning makes it easy to journal – just check offrecurring meals and exercises in the journal diary. > Expect theunexpected - if you know you suffer from emotional eating, hunger,or mindless eating at certain times - add it to your diary and beprepared. > Add other weight-loss-related tasks like cooking,finding healthy recipes, drink water, preparing healthy grocerylists, measuring your weight and more... *** Diet Journal andLogging > Account for everything you eat and do during the day –journal your meals and exercises. > Calorie calculator forhundreds of types of exercise and thousands of foods (includingmajor fast food chains). New: Search online over 1,000,000 of foods(powered by FatSecret) > Calorie counter - View caloriesconsumed and burned against your daily calorie goals. >Integrated reminders to journal your meals and exercises. Thetiming of the reminders is flexible and can be set up however youlike. > Flexible and easy-to-use. > Drink water button -track your water consumption > Take photos of food eaten Weightand body measurements Tracker > Record your weight loss progressand body measurements (Neck, waist, hips, upper arm, bust) >View your weight loss chart and graphs. > Use your weight chartas a motivational aid – set a reminder that shows your weightchart. > Weigh in reminder Other Features: > Easy to usechallenges tracker > Get virtual rewards for "doing the rightthing" > Tips for every type of challenge – tips forweight-loss, health, and fitness. > Increase your motivation andbecome more active with extensive diet reminders: Set reminders foryour goal, motivational photos, make a healthy grocery list, cookhealthy meals, create a diet plan and more... > Motivationalaids - photos and virtual rewards- will make the app your best dietassistant. > Create and adjust your weight loss profile. Health Kit : Total Health In One Kit! HealthKit (BETA) is a health and fitness app with health, safety, diet,and exercise guidelines. Health Kit also includes steps /blood-pressure / and BMI charts.Health Kit Features:• Health Kit beta-test mode• Tools and exercise charts• Nature sounds relaxation!• General health advice kit!• Eye care health kit guide!• BMI blood pressure chart!• Compass instant direction• Safety advice in health kit• Centenarian diet sayings!• Daily steps counter health• Health kit scenery quotes! 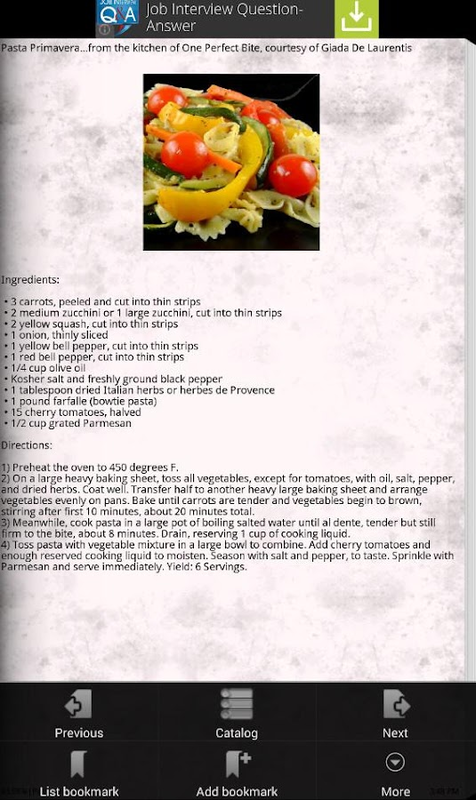 "Healthy Drinks Recipes" is the Android application providesRecipes. This Application provides Healthy and Delicious HealthyDrinks Recipes! This recipe gives you an awesome collection of morethan 90 Delicious Healthy Drinks Recipes! 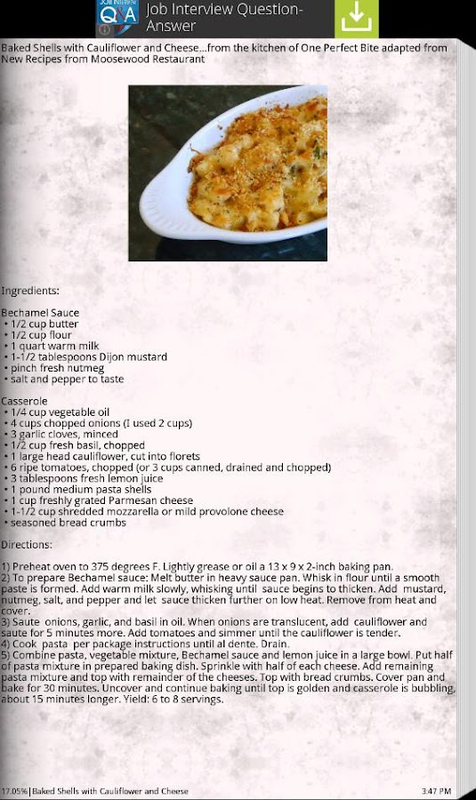 Well the good news is youcan still have all those things you just need some recipes thattell you how to make them! IMPORTANT: This version of application is DEPRECATED. Pleasedownload the NEW versionhere:http://goo.gl/uCEDF1Thanks!DESCRIPTION: Fitness Calculator isa free fitness app that helps you to optimize your body and health.Fitness Calculator includes next components: * Personal rates (BMI,RMR, daily calorie and water intake, maximum heart rate, trainingheart rate; also includes recommendations and future weightforecast);* Calorie counter (for easy meals tracking);* Food list(gives an opportunity to add new foods and dishes and edit existingones);* One-rep max (calculation of maximum weight for onerepetition of exercise);* Body fat calculator;* Notes and infofeatures for user;Fitness Calculator provides tips and forecastsabout your weight to help you achieve a perfect healthy body. Belly Fat Burn Workout Someone will claim toremove the belly fat in days , but don't fall for that , in orderto cut your belly you need at least 7 days with proper diet andexercises. This Belly Fat Burn WorkOut Application is good to addin your diet plan. It's easy to follow step by step. Here are fewmoves, from simple to killer that will keep your day by day coreworkouts interesting to burn belly fat! : The Quickest Belly Fat Workouts: Belly Fat Burning Workout – Burn Fat Fast and Effectively: The Best Belly Fat Workout For Men & Women is in the Kitchen– Not the Gym: Belly Burning Fat Loss – How You Can Lose Belly Fat Effectivelyand Keep it Off: The Barbell Belly Blaster WorkoutAnd More ...There’s no one magical food you can add, or delete, from yourdiet that will melt away all of your belly fat, but with anall-around healthy diet and regular exercise, it can happen! So,exercising not only helps you lose belly fat, it also sheds fatfrom other areas. Running and walking are two of the bestfat-burning exercises.